Night view of the Aga Khan Centre, London. Open House London - the world’s largest architecture festival, which gives the public free access to 800 plus buildings, walks, talks and tours over one weekend each year - attracted over 1200 people to the Aga Khan Centre in September 2018. The Garden of Tranquility by Maki & Associates - Aga Khan Centre, London. 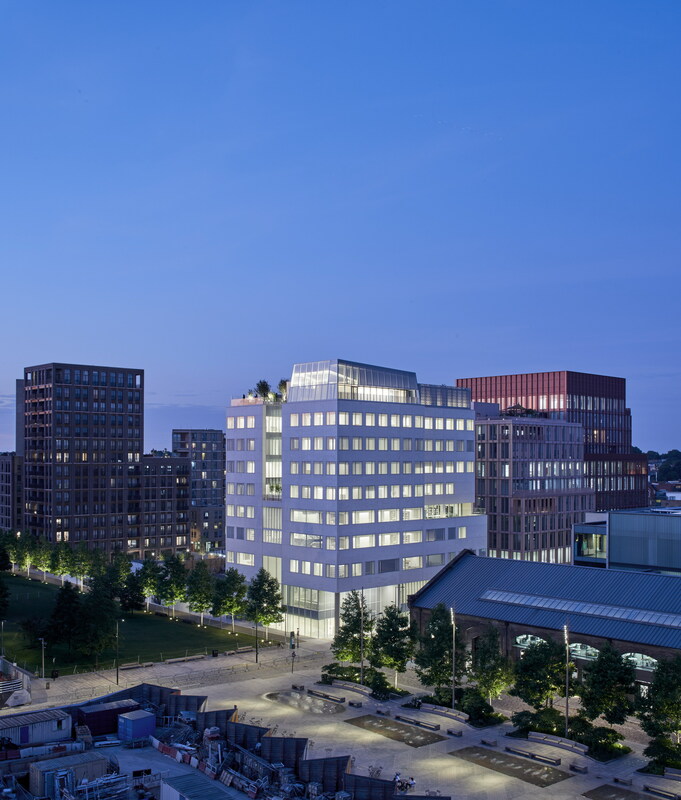 Opened in the summer of 2018 in the heart of London’s Knowledge Quarter, the Aga Khan Centre is a place for education, cultural exchange and insight into Muslim civilisations. Designed by Fumihiko Maki, one of Japan’s most distinguished contemporary architects, the Centre provides a new home for a number of UK based organisations founded by His Highness the Aga Khan: The Institute of Ismaili Studies (IIS), the Aga Khan University Institute for the Study of Muslim Civilisations (AKU-ISMC) and the Aga Khan Foundation UK (AKF UK). The main entrance to the Aga Khan Centre, London. 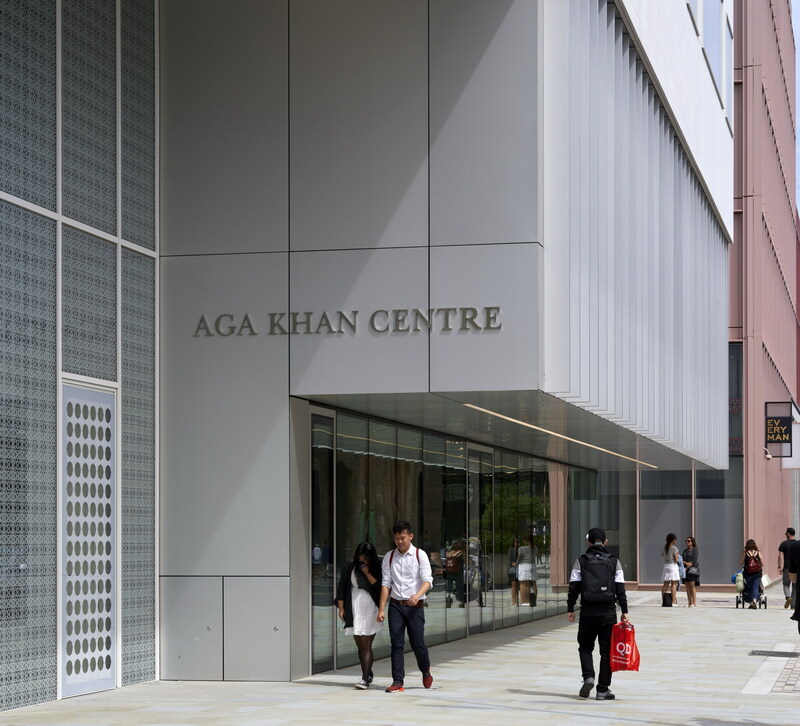 Opened in the summer of 2018 in the heart of London’s Knowledge Quarter, the Aga Khan Centre is a place for education, cultural exchange and insight into Muslim civilisations. The Aga Khan Centre, designed by Maki and Associates, led by Fumihiko Maki, one of Japan’s most distinguished contemporary architects, provides a new home for a number of UK based organisations founded by His Highness the Aga Khan: The Institute of Ismaili Studies (IIS), the Aga Khan University Institute for the Study of Muslim Civilisations (AKU-ISMC) and the Aga Khan Foundation UK (AKF UK). These Institutions have been operating in the UK for many years and are part of a mission and mandate to increase knowledge and understanding of Muslim civilisations and help improve the quality of life for people around the world. 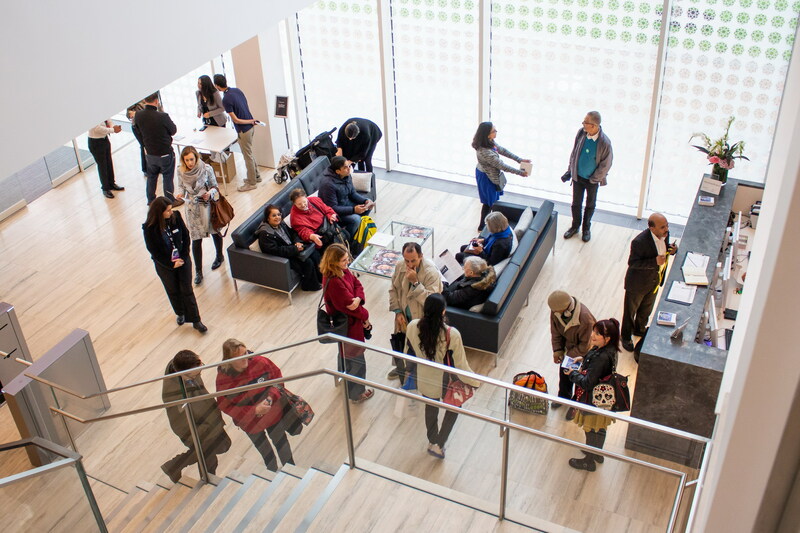 Through research and publications, higher education and a public programme of lectures and exhibitions, the organisations located in the Aga Khan Centre will continue to serve as bridges in building understanding about Muslim cultures and societies. The Aga Khan Library, London, for example, houses the unique collections of IIS and AKU-ISMC, providing space for the collections, space for study and secure archival storage for rare books and manuscripts. The Aga Khan Centre’s gardens and courtyards in London. 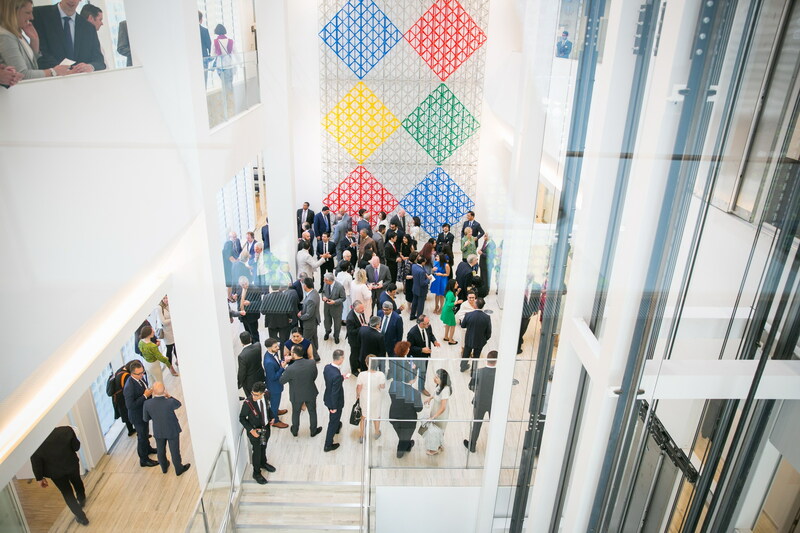 The Aga Khan Centre will help connect the public to global development issues and the Aga Khan Foundation’s work to improve the quality of life for people of all faiths and backgrounds in some of the world’s most disadvantaged communities. This centre is designed to represent the values of openness, dialogue and respect for different viewpoints (pluralism). 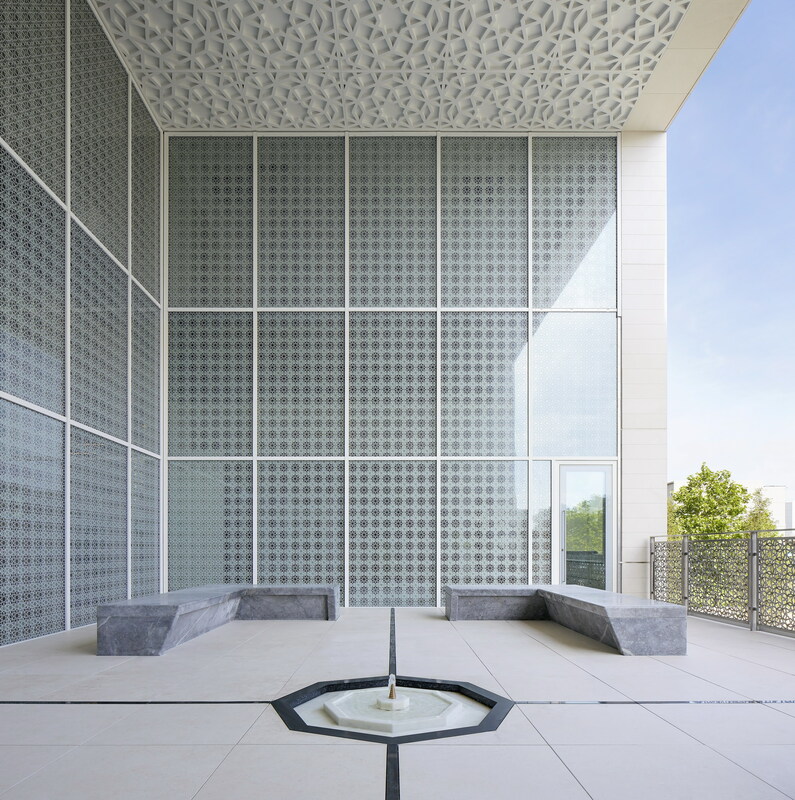 A distinctive feature of the Aga Khan Centre is its six gardens, courtyards and terraces inspired by Islamic landscape design from Spain, North Africa and the Middle East to Central and South Asia. Garden tours will be open to the public at scheduled times. Victoria Hall King’s Cross, across the way from the Aga Khan Centre, is a halls of residence which provides accommodation for students of the IIS and AKU-ISMC as well as other students studying in London. 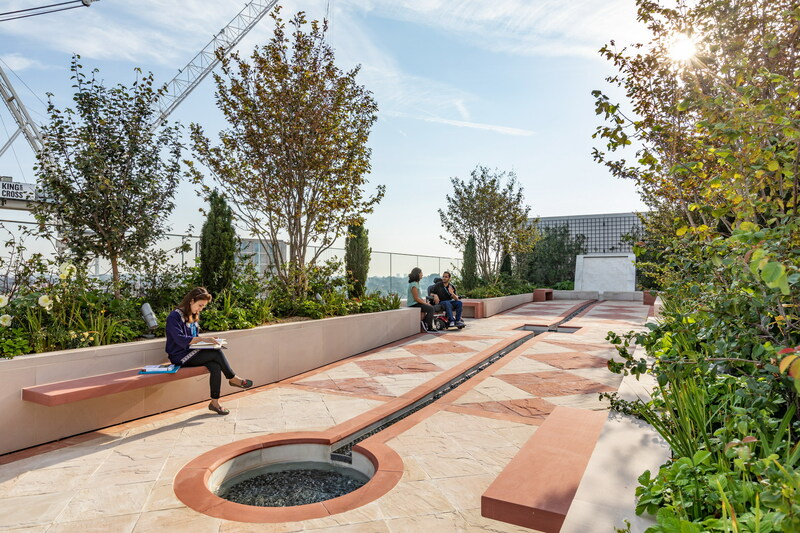 Victoria Hall also has two outdoor spaces – a courtyard on the first floor and a terraced garden on the eighth floor, both designed by Vladimir Djurovic who also designed the Aga Khan Park in Toronto. The eight gardens at the Aga Khan Centre and Victoria Hall as well as two gardens in the public realm, form a ribbon of green spaces which seeks to reflect the rich diversity of cultures across the world of Islam. 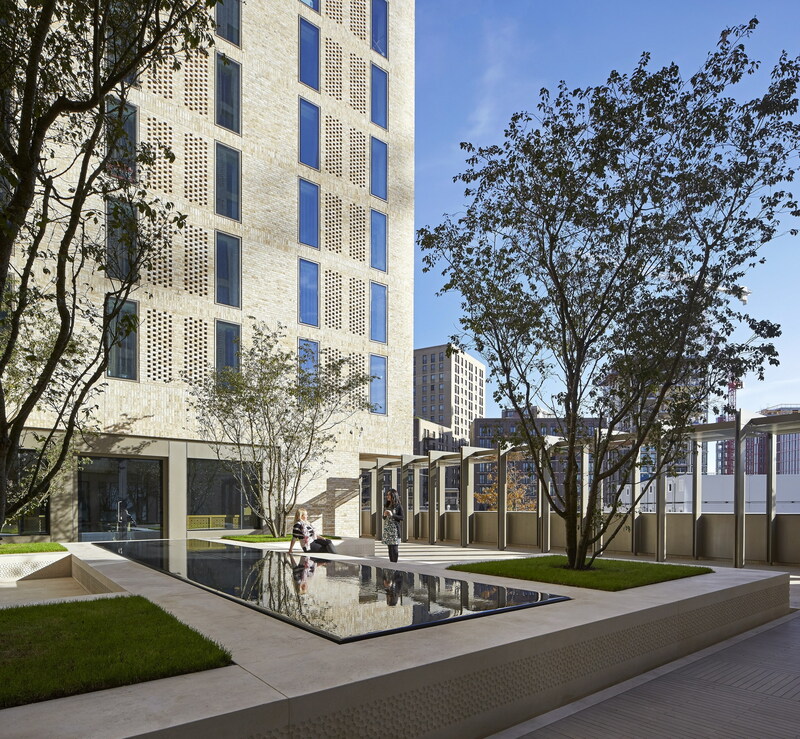 The gardens of the student’s residence, Victoria Hall King’s Cross, across the way from the Aga Khan Centre, London.